Moshe Goshen-Gottstein was one of the leading figures in the study of Semitic languages and the Biblical text. Born in Berlin in 1925, Goshen-Gottstein immigrated to Palestine at age 14 to escape the Nazis. He attended the Hebrew University of Jerusalem and began teaching there in 1950. 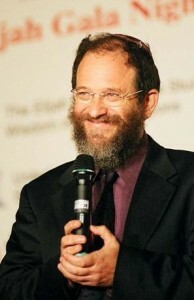 Eventually, he became the Professor of Semitic Linguistics and Biblical Philology there (1967) and also the director of the Lexicographical Institute and Biblical Research Institute at Bar-Ilan University. Goshen-Gottstein made important contributions to the field of Biblical Studies. He had a special interest in the ancient translations of the Bible into Aramaic and Syriac as well as Biblical commentaries that were composed in Arabic. Goshen-Gottstein wrote several important articles in his field that include: “Medieval Hebrew Syntax and Vocabulary as Influenced by Arabic,” “Introduction to the Lexicography of Modern Hebrew,” and “The Aleppo Codex.” He also worked on several dictionaries, among them the Millon ha-Ivrit ha-Hadasha (Dictionary of Modern Hebrew), which was the first synchronic dictionary of Hebrew. Goshen-Gottstein founded the Hebrew University Bible Project and directed this project for many years. In 1988, he was awarded the Israel Prize in Jewish studies. Goshen-Gottstein resided in Talbiya, Jerusalem. He and his wife Esther, a clinical psychologist, had two sons, Alon (director of the Elijah Interfaith Institute) and Yonatan (Associate Professor at Tel Aviv University).